It seems each time you glance at the calendar another week has passed by. Someone is saying, ‘is it that time already?’ or ‘was that really three years ago, it feels like yesterday!’ Our perception of time has evolved this way because our days are so oversubscribed. We constantly move from task to task with minds locked into what is ahead, what needs to be dealt with next. As we continue to operate this way, there is very little space to process what is. A sachet of seeds will remedy this. Whatever the season, it is time to plant something. Your task is simply to determine what that happens to be in your location right now. 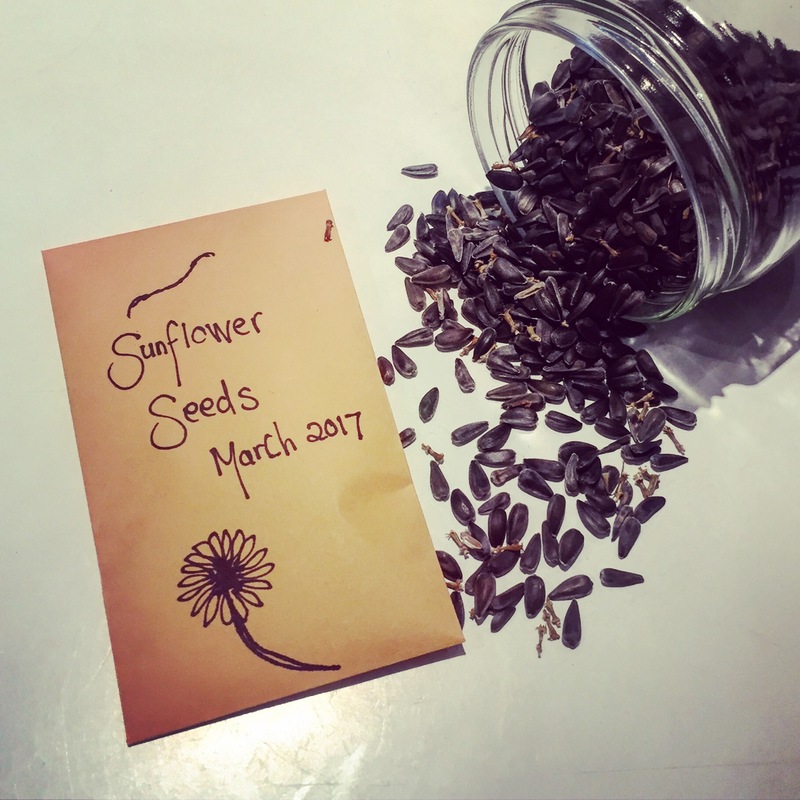 Gather some seed raising mix, a container with drainage and your seed package. Once your container is filled with the mix, water it well and allow it to fully drain. Plant your seeds individually, following the spacing and depth specifications on your pack. Cover your container with a clear lid or clingwrap and place it near a sunny window. For a more detailed explanation this Youtube clip will take you through the process. While you are setting your seeds up this way, life space is created and all you are really considering is how the seeds are. From then on each day you will visit them and look and think about them. As they emerge you will marvel at this and look and think about this. When the adult leaves develop from the two baby leaves you will plan their next potting, while you are looking and thinking. When you introduce your young seedlings to the outdoors you will be a mother duck, watching and thinking. Each day they live in the garden soil you will watch the weather and plan for its impact on your plantings. 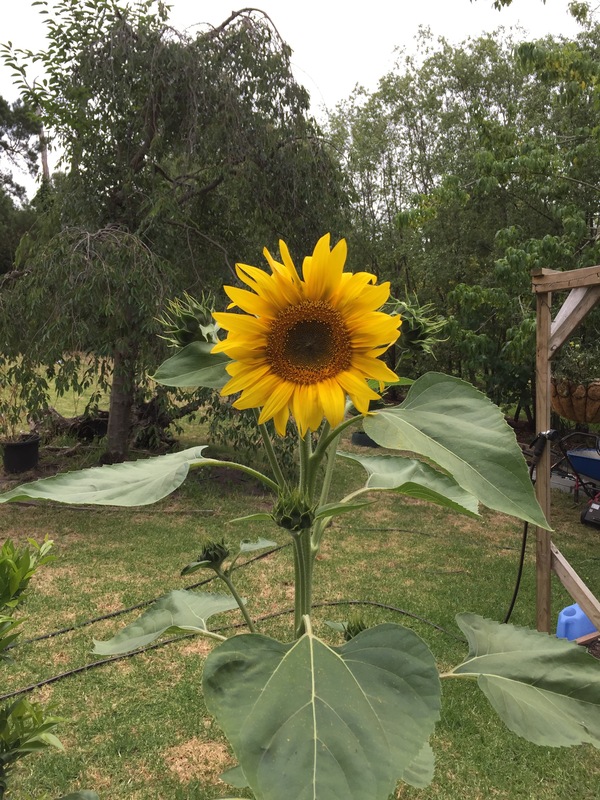 And finally, one morning when you visit your crop a flower will be there. And that is when you will really know why you planted your package of seeds. PS After the joy of the blooms has wilted and dried, you can then gather the seed and create the space once again. As Winter free-wheels down to its closing stages, a delightful spring teaser surreptitiously unveils. The prunus trees, having been all skeletally grey and bare for many months, miraculously bloom into fluffy marshmallow-esque wonderments. 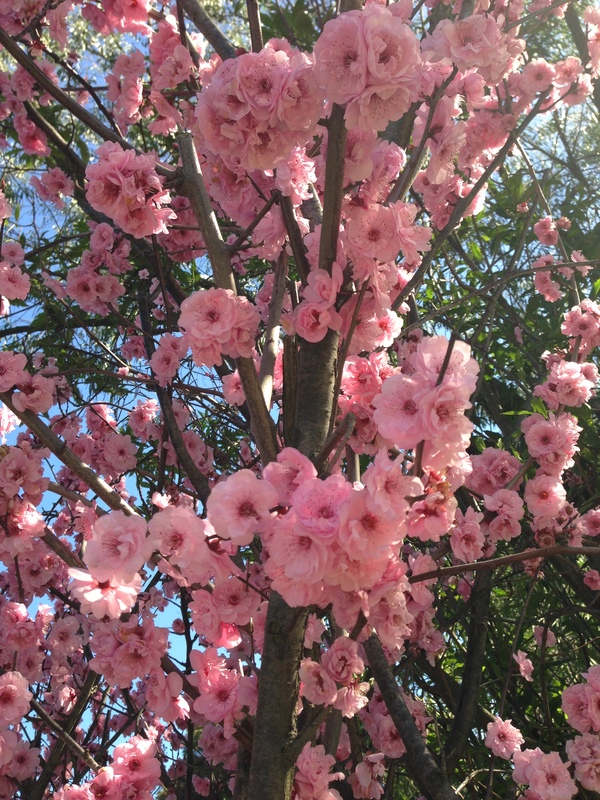 The blossom is about – and spring is drawing closer. Today my first glimpses are caught through the window of an ever-ferrying suburban car, but as a child quite differently. On crisp mornings casually sauntering along the school route, I would gaze in admiration, as these neighbourhood trees would transform into naturestrip and front-garden showpieces. Should the temperature elevate slightly, making a particular morning unseasonally mild, the bees took an interest equal to mine. But let me tell you, not all prunus trees are created equally. My backyard hosted a couple of species, one from which my childhood swing was attached. The blossom they produced, while pink and delicate, did not have the voluptuous density of those pictured above. Their display was usually short-lived as they shed quickly. 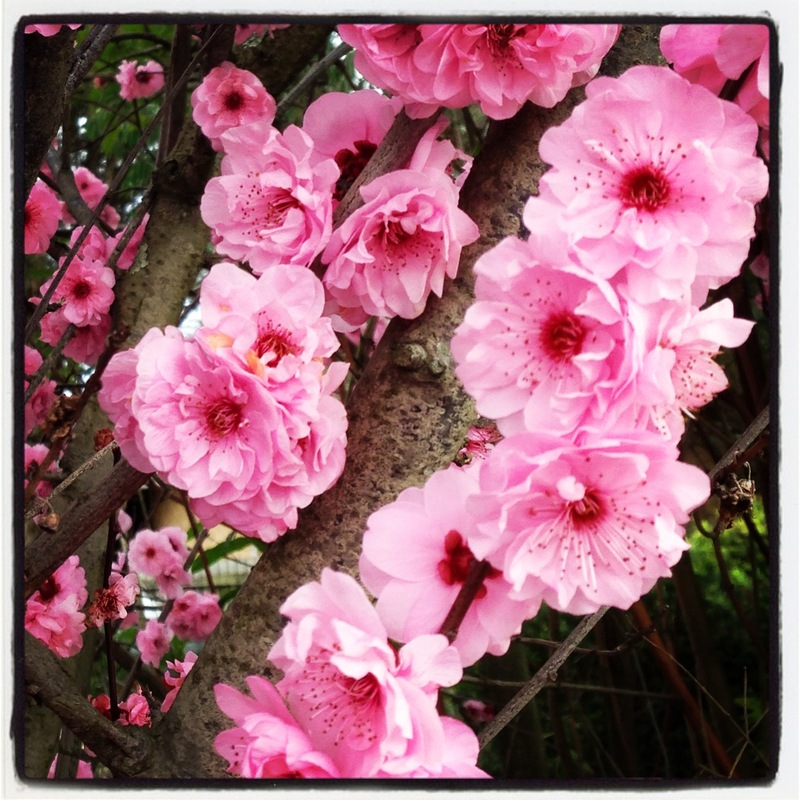 My classmate Anna however, who descended from avid gardening stock, was keeper of prunus that was simply majestic. Anna would arrive in the classroom clutching a spectacular arrangement, ends expertly bound in foil, to present to our teacher. How I coveted her offering. One morning, when the urge to present a bouquet of my own became too great, I paused on school route and diligently snapped a number of branches off a local tree. Hats off to the teacher, who must have been aware of their origin by the clumsy arrangement and without hesitation, showed equal enthusiasm for my contribution to her desk. Postscript: and still, not having a sumptuous prunus to call my own, I am once again coveting the beauty of others’ by gazing at and photographing my neighbourhood gems. 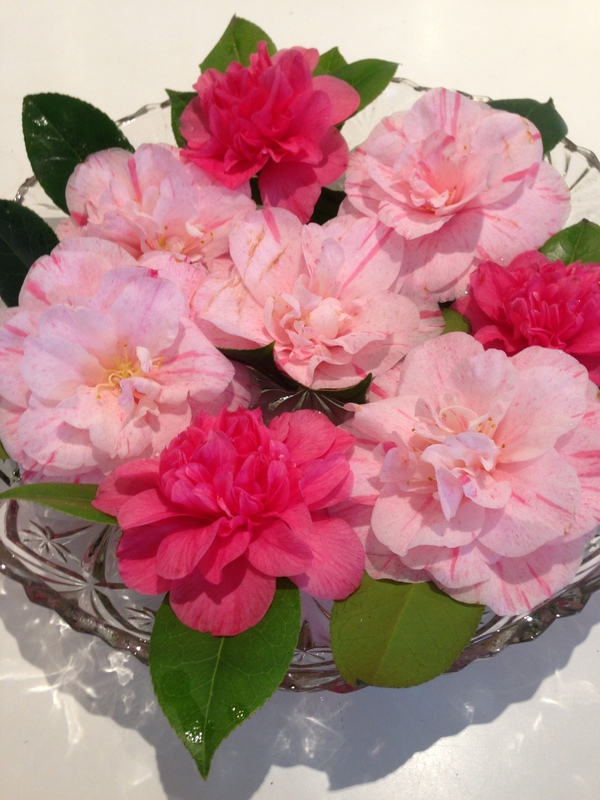 Bursting onto the scene in their usual prolific manner are our winter camellias. 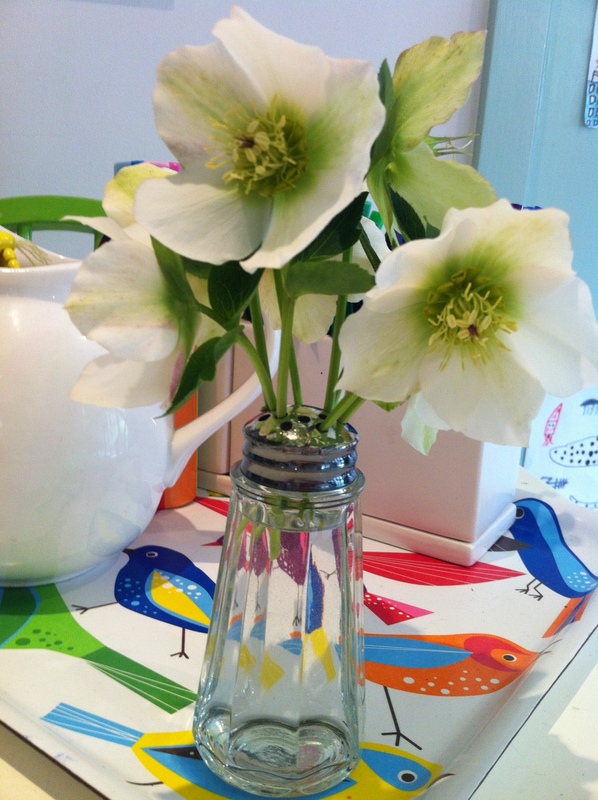 Green glossy leaves and copious flowering heads, they brighten our chilly gardens and offer a bounty of cut specimens. The trick is to outwit the rain. Sudden downpours bruise delicate petals, so cut before the clouds gather overhead. 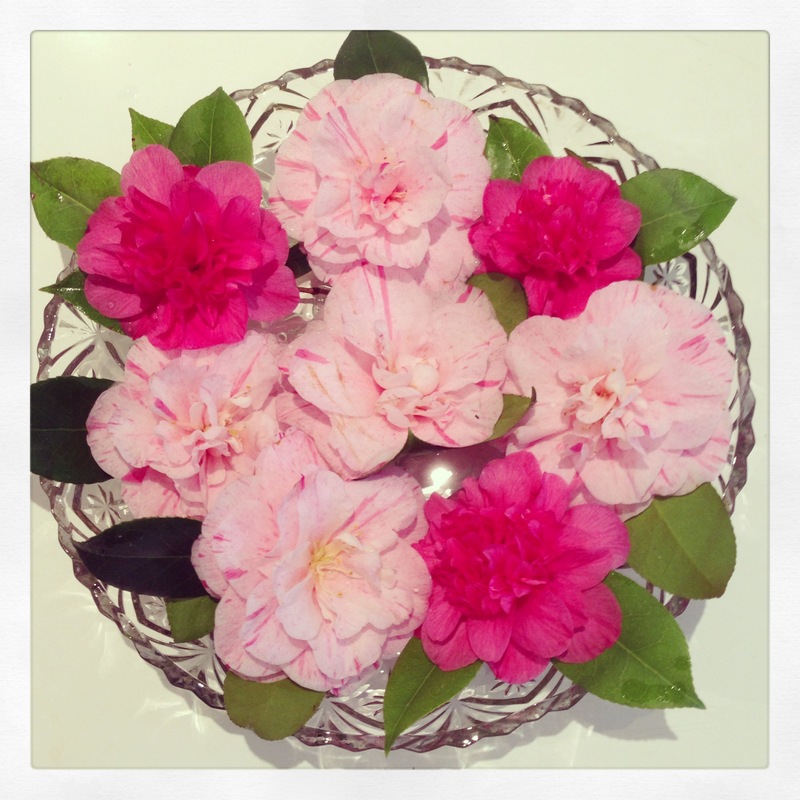 Should you miss the opportunity, do not despair, as camellias bud abundantly so new blooms unfold almost daily. The insect community loves them as we do, so before bringing them indoors, gently brush off to release any outdoor residents. 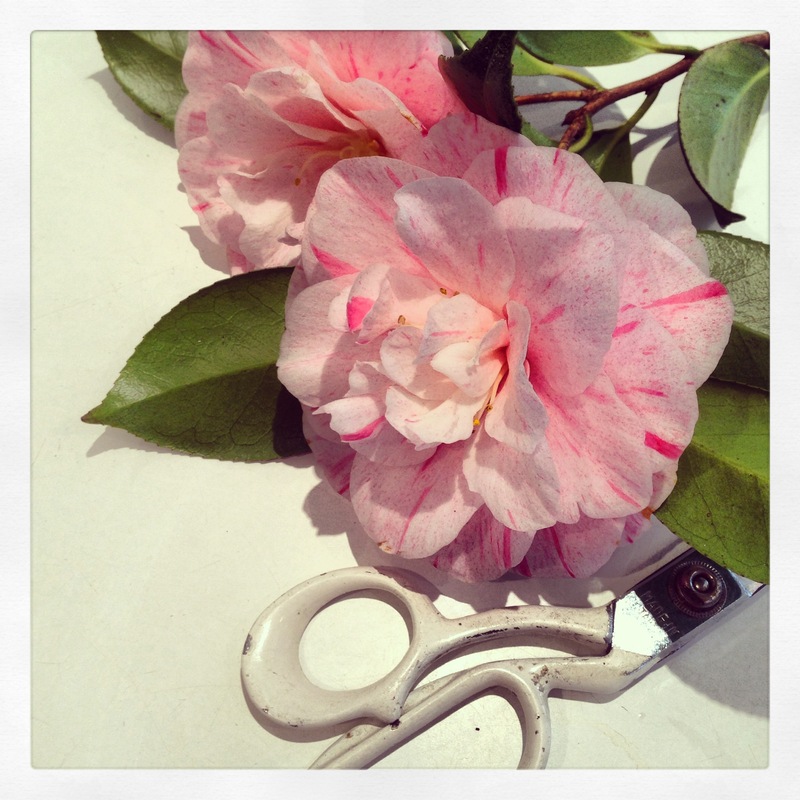 Don’t be hesitant to harvest, as like all shrubs, camellias love a good cutting. 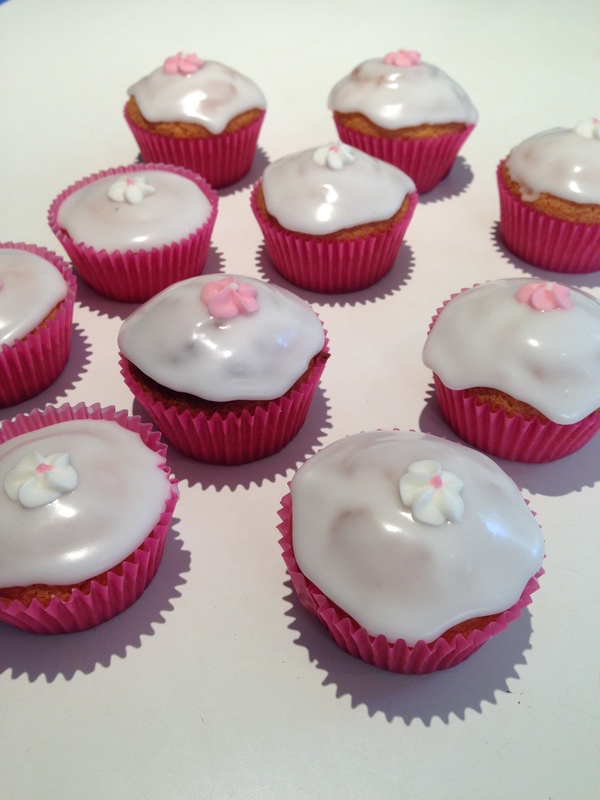 Once indoors, arrange them as you please in vases and jars alike. Way back in the 1930s and 1940s, homemakers loved to display their cut specimens by floating them in round shallow bowl/vases made for the purpose. This 2013 homemaker likes this method as well. For your floating centrepiece of beauty, hunt out your widest bowl and fill with water. No wide bowls? I can tell you that thrift shops are bursting at the seams with them, your only dilemma will be whether to go with glass, porcelain or three of each. 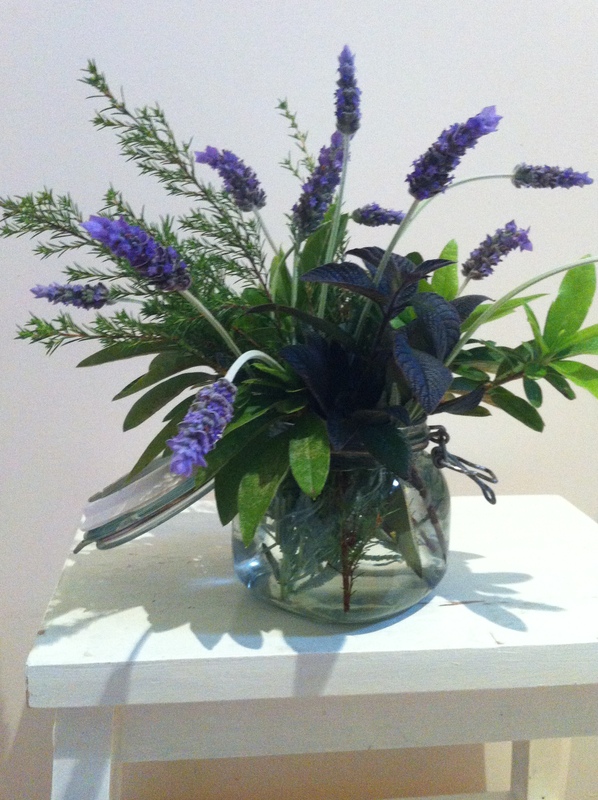 Trim the stems close to the bloom and save a few leaves to balance the display. If you have access to a number of varieties a mixed bowl looks lavish. Collect them now, as before long the display season will have come and gone and your dense green leafy shrub will take its place in the general garden scene once again. Postscript: and hopefully the comments you will receive from your fellow occupants will be less like “How come we always have flowers all over the house!”….. The prospect of painting a kitchen is a daunting one. With seemingly endless cupboard doors, handles, nooks and crannies to sand, coat and recoat, the mother lode of mental discipline is required to remain on task without flinging the brush in the air and dialling a tradesman. Fortunately, mammoth tasks have inbuilt motivators. As small sections take shape, like giant jigsaws, the puzzler is gradually fed clues to the total picture. That urge to see the completed vista mobilizes a further sift through the box – and another lick of paint. 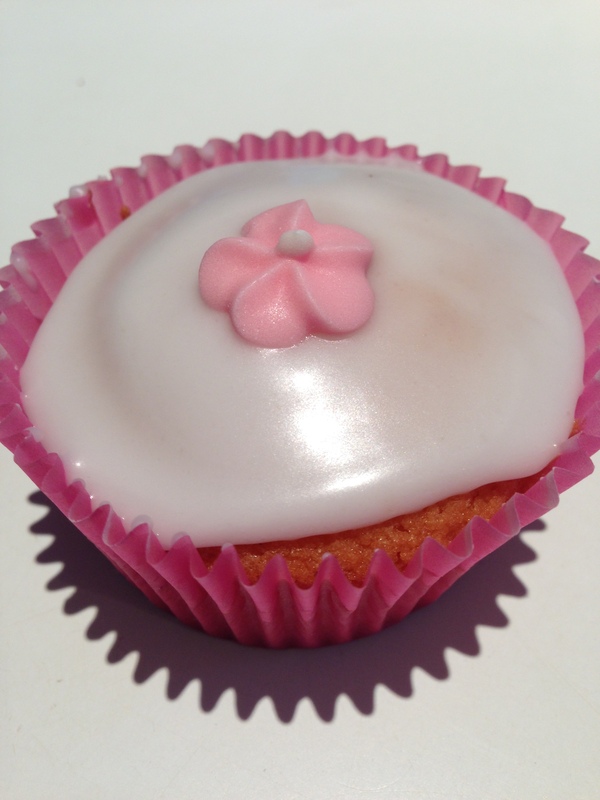 While my current internal mantra is to ‘eat this mammoth one bite at a time’, some instant gratification is required. Spying empty glass jars near the drooling paint can, meant today, some new vases were born. And being that it is daffodil season here right now, there is no better time to create something simple and understated for them to sing in. The beauty of jars is that they come in all shapes, so choose yours with its resident in mind. A short squat vessel is perfect for herbs, while a tall slim bottle will display your single bloom with elegance. Don’t buy paint, I’m sure you have an old tin lurking from a long distant refurbishment. Give it a shake and prize off the lid. Away you go and coat as many little receptacles as you wish. Mine needed two good coats with plenty of drying time in between. So scrape out that last bit of marmalade and retrieve that passata bottle from the recycling box, and before the day is through you may not have consumed your entire elephant, but you sure will have something pretty to look at while you contemplate the next bite. 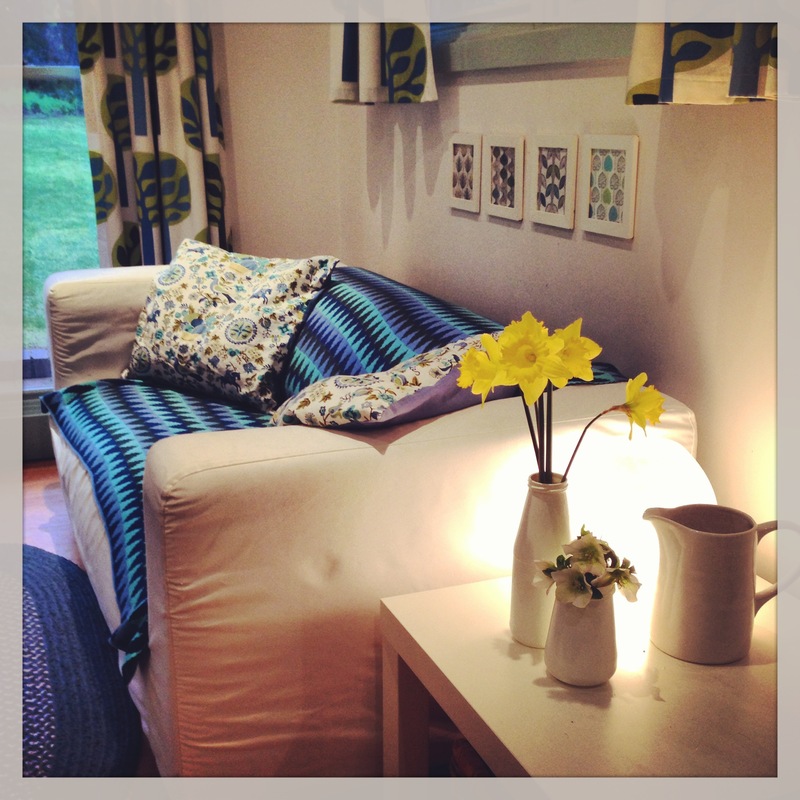 Postscript: and at the end of a paint splattered day, how lovely it was to retire to a cosy corner and be cheered by daffodils and hellebores in their new homes. How are you at cultivating weeds? 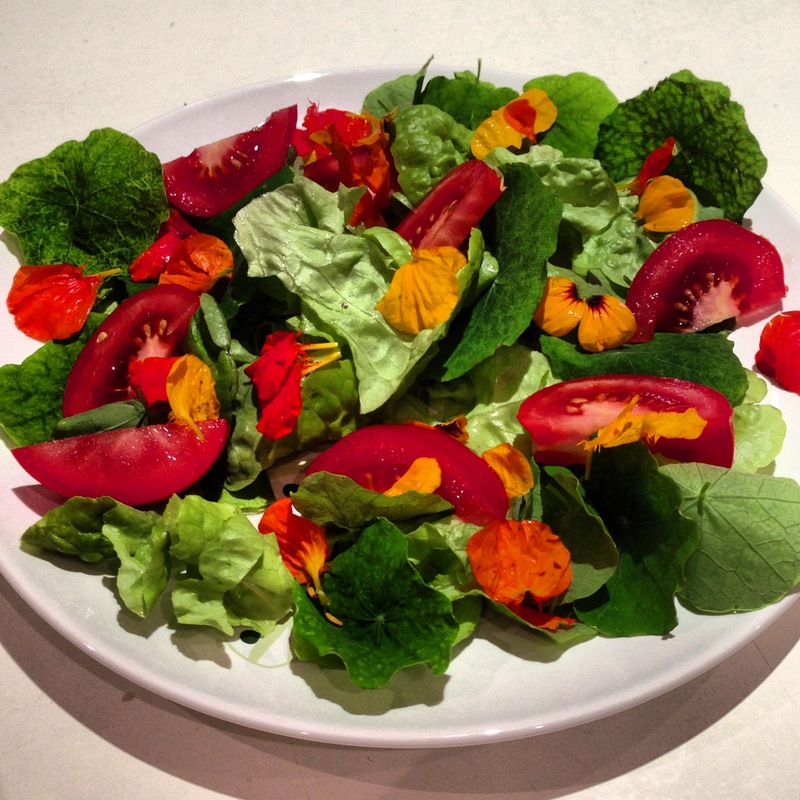 Excellent, then you will have little trouble enjoying a thriving horticultural relationship with the nasturtium. A simple matter of pressing a handful of seeds into less than average soil and applying a generous spray of water will in very little time, result in the appearance of tiny rounded pumpkin-esque leaves. These tender beginnings will only continue to develop into greater wandering vines seeking optimum aspect to settle for bud burst. 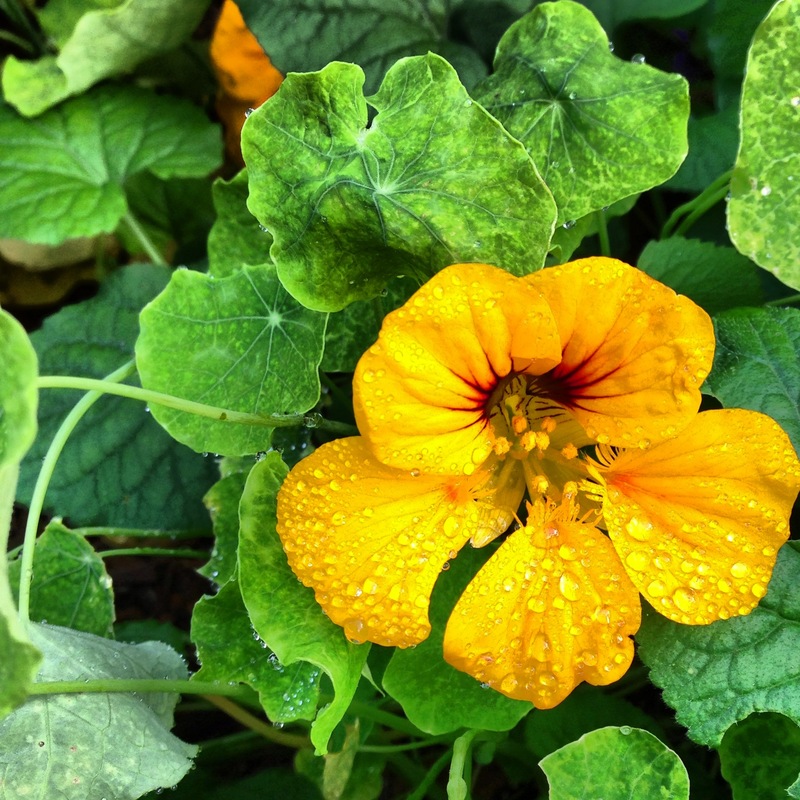 Turn your attention to matters of the indoors for several days only to be pleasantly surprised, on the unplanned day you chance to pass this patch once more, now lavish and beaming with the rusty orange and golden yellow jewels this secretive perennial has been longing to astonish you with. And astonish you it will. Let not the display remain outdoors, but gather small handfuls of the gems to be spaced with sprigs of generic winter garden greenery, filling orphaned milk jugs to brighten the bleakness. Interestingly, well after the pricey bunch of hot-housed tulips have dropped their heads, with a swift freshening of the supporting green, the little nasturtium posy shines on. 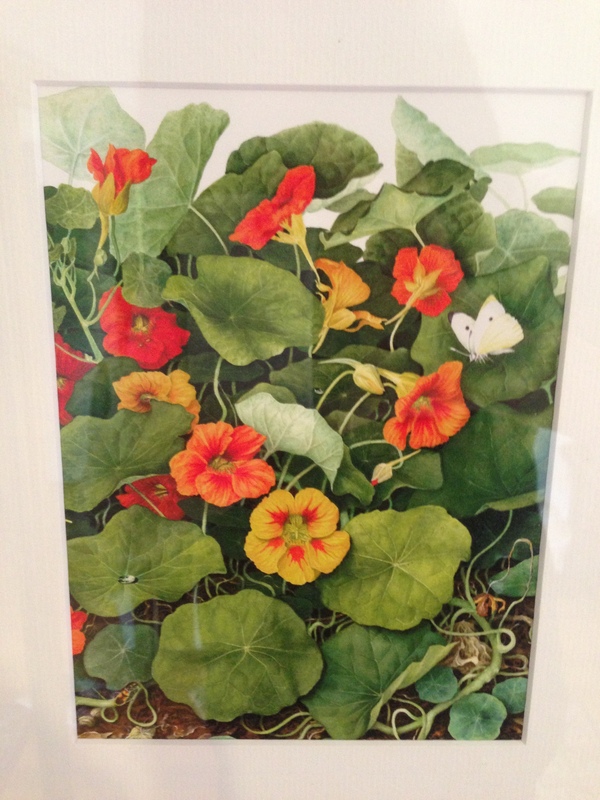 For me, nasturtium fondness traces back awhile. Back in fact to the base of a mission-brown stained paling fence with a northerly aspect, flanked by a thickness of orange blooms set off by the vivid green. This is the visual I have of the dividing line distinguishing the boundary between my childhood home and the neighbourhood path. With the fence and the home a distant memory, it was therefore without hesitation, when I saw this artwork in our local gallery that I purchased a print. Complete with cabbage moth, who shares an equal affection for the plant, this print provides a restful scene to reflect upon before the bedside lamp clicks off, punctuating the end of another day. For reasons unknown to me, I have always had an affinity to the wayward. A being with its own mind who surges forth without heed has never failed to capture my imagination. Fickle natured cats, colourful friends and the odd eccentric uncle are dotted fondly throughout my history. So therefore, it should not come as a surprise, that in the floral arena, a poppy will win me over faster than any long-stemmed dozen possibly could. As far as my experience is concerned, poppies are a law unto themselves. Try cultivating them into obedient rows similar to zinnias or marigolds and you’re bound for frustration. Poppies emerge from where poppies choose. As evidenced above, this rogue poppy produced itself unannounced from a flowerpot that had been designated for another species. Not particularly fussed by this, the poppy is flourishing happily with a lamb’s ear. Like anyone who has sat in a contorted position for a lengthy period in order to accommodate a sleeping feline, so the lamb’s ear will need to withstand its sardine-like confine until the poppy finishes flowering. If I cast my mind back over previous seasons, the most glorious poppies that have ever existed in my garden were not the ones whose seeds were carefully laid on the soil and devotedly watered, but those whose seeds were captured by the breeze and laid unattended until sprouting time was deemed appropriate. Poppy life experience has taught me to shake their desiccated heads randomly across the garden beds, and to be enchanted when, without notice, a poppy appears. You can sprout the seeds in small pots or trays and transplant, but the mortality rate is often high. Those that survive though, will give you the most spectacular display and boost your horticultural ego to dazzling heights. Tall poppies are just that. They rise high above their herbaceous neighbours and steal the limelight – because they are successful and glorious. It is pointless though to cut them down, as their vase life is very limited. Like the human variety, they should be left in their own environment to shine. As a gardener, if I can persuade you to do nothing else – grow poppies. Postscript: these red poppies are now pods, beautiful heads full of maturing seeds. If you would like to share in the progeny, leave a comment and I will send you some at seed harvest time. The Spring Racing Carnival is on our doorstep, and how do I know this? Why, I have just clipped my first bunch of roses for the season of course. Not to be confused with the splendor of the Flemington Race Track, our roses are looking pretty good this year, and I believe it may be due more to favorable weather conditions combined with neglect rather than any horticultural prowess on my part. I will take credit, however, for the arrangement. What a strange dichotomy the rose-bush is – the bulk of the year spent as a spiky, jutting, nondescript cane and then almost overnight, metamorphosing into a lavish leaved bush filled with unfurling colorful jewels. Their appearance is so sudden and display so elegant, that even the routine journey to the office is punctuated with pleasant garden glimpses. 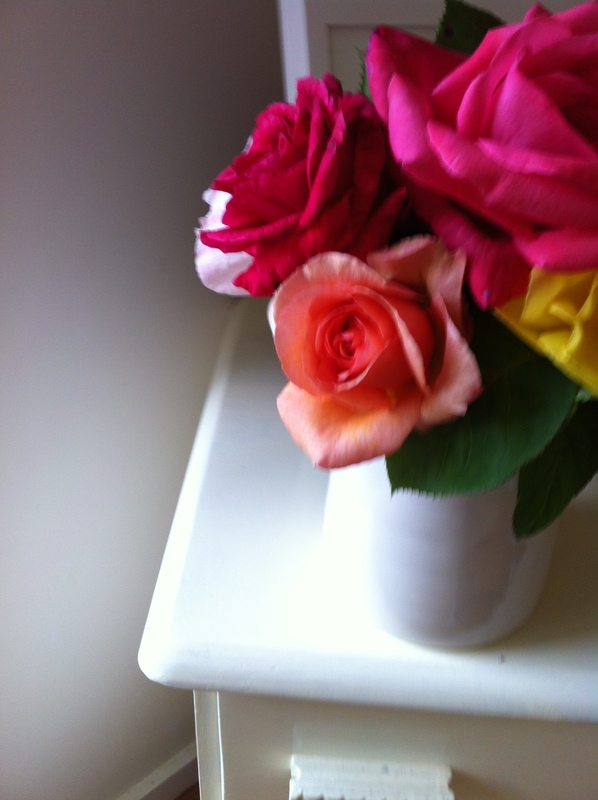 Roses have the ability to laugh in the face of colour scheme edicts. Pile their clashing colours into a vase and you are immediately rewarded with an object of beauty, that becomes the focal point of the room and the elevator of spirits to all who enter. 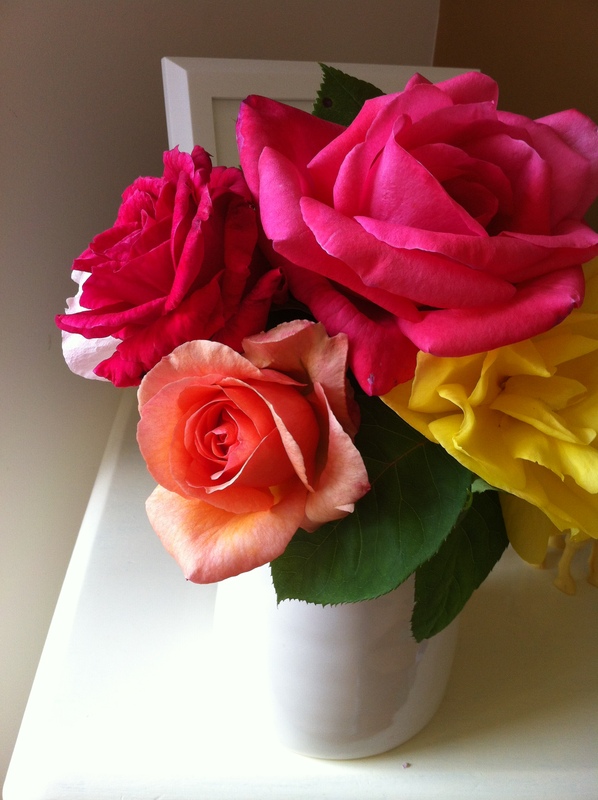 These are tea roses and to me, bestow far greater beauty and fragrance (and economy) than the hothouse variety. 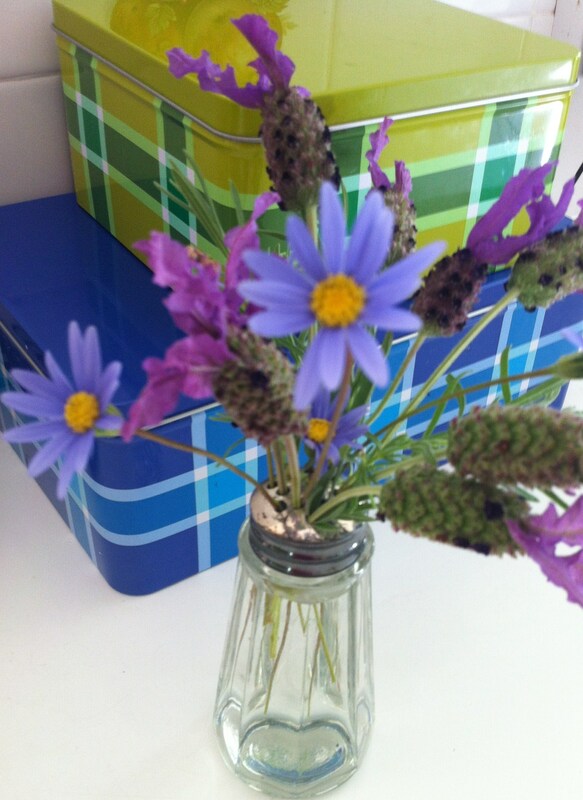 This season, bring a bunch of your blooms indoors and try not to smile as you walk past your posy. The floral symphony being conducted in the gardens throughout our neighborhood right now is spectacular. This of course happens every Spring, but each year I always see it as though for the first time, and yet again find it breathtaking. 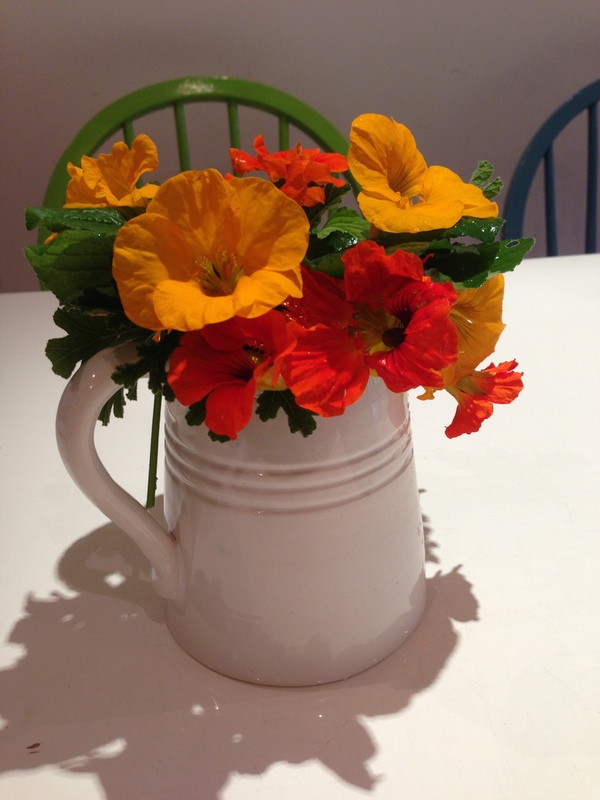 My immediate reaction is to capture it – to have a small concerto of daisies, nasturtiums or salvia playing happily in a vase in the kitchen – and I have discovered that unorthodox vessels can work a treat. 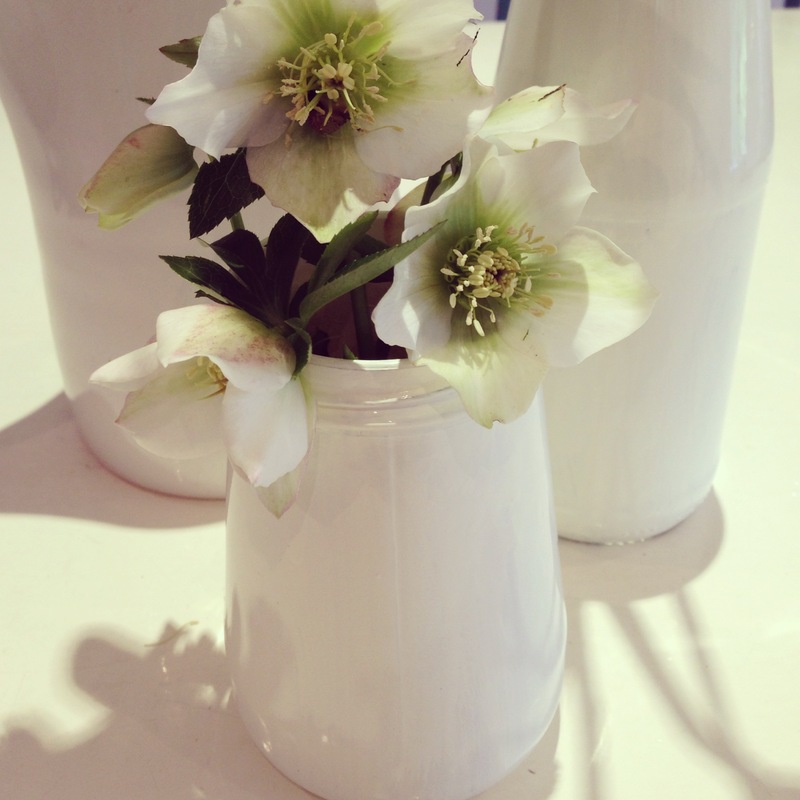 Shakers are an obvious choice, distributing and supporting the stems beautifully. Look for these in all sizes so you can accommodate the various thicknesses of floral stems. 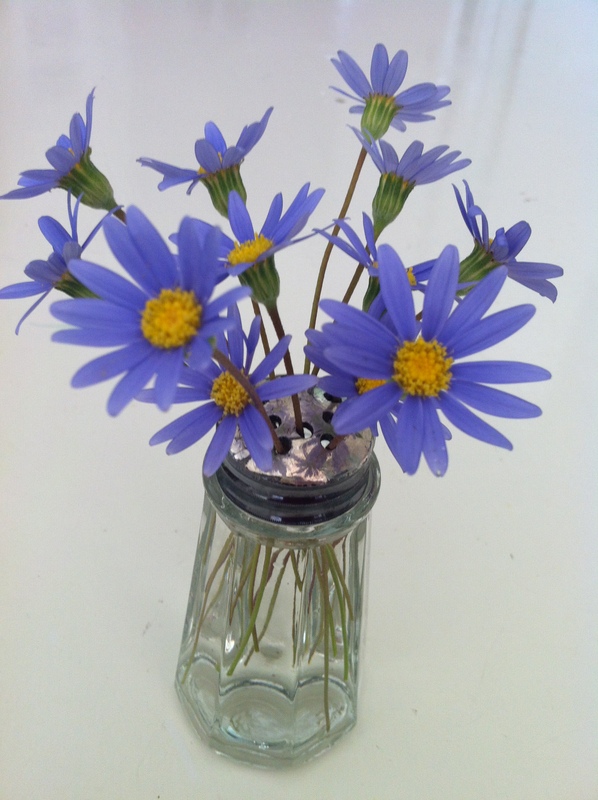 Clip-lid preserving jars look delightful – lid thrown open with a freshly cut bunch bursting out. Even the humble jam jar is transformed with a selection of herbs and marigolds popped inside. I challenge you to cast your eye around your home and look at your containers through different eyes. 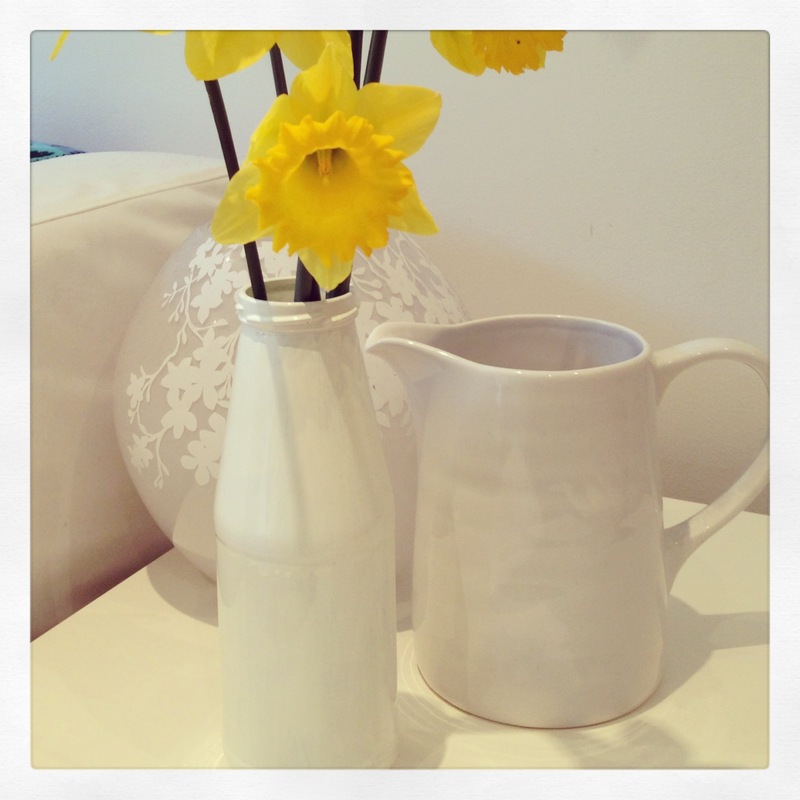 There will be no end of jugs, mugs, decanters or teapots that can be pressed into service. Photograph them too, so that during the depths of Winter you can be reminded of the simple pleasures you have to look forward to.